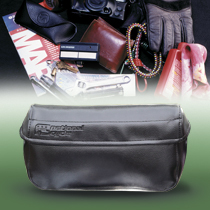 Holdster™ Windshield Bags offer convenient up-front storage for your gloves, sunglasses, brush, garage door opener, tool case, etc. Unlike leather bags that tend to dry out and become stiff with use, our bags will stand the test of time. Holdster™ Windshield Bags offer convenient up-front storage for your gloves, sunglasses, brush, garage door opener, tool case, etc. 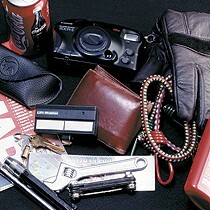 Holdsters allow easy access to so many things. Unlike leather tool kits that tend to dry out and become stiff with use, our bags will stand the test of time. Holdsters that have been mounted to our test bikes for years still look as good as new. Holdster™ Windshield Bags are easy to mount to the windshield's inner hardware. You'll have it installed in no time and be back out on the trail – but now with storage for your cell phone, check book, sunglasses, or anything else you need to bring with you. The covers secure with a Velcro® strip, so they're quick and easy to get into, and just as easy to close up again. Holdsters™ are made from black, heavy gauge synthetic leather with reinforced back. Holdsters have UV protection and mildew resistant coatings. None required. Holdsters mount to inside frame of our N2573 and N2574 ATV Windshields (will not fit Bobcat™ ATV Fairings).